After 20 years in Wyoming — several spent building a dream home she later sold — Proulx had a similar epiphany about that state. As she had with Vermont, Texas, and New Mexico, and any number of places where she’s lived. Now she’s made a similar discovery of the wooded idyll east of Seattle. It isn’t helped by the fact that she recently learned she is allergic to red cedar, a serious problem as her home is surrounded by it. Proulx laughs as she explains this; she moved here to finish her extraordinary new work, “Barkskins,” a novel about climate change and the rapacious destruction of America’s landscape in which one of the book’s central characters is the forest itself. In “Barkskins,” Annie Proulx reminds us that the world we live in was made possible by the destruction of the one that preceded it. 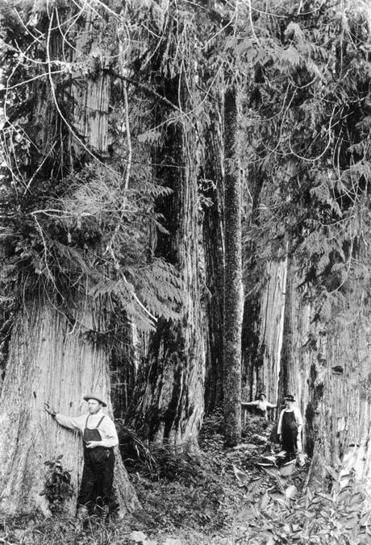 “Barkskins,” a slang term for lumberjacks, trails two families across four centuries — the Sels and the Duquets and their competing ways of making a living off the forests. René Sel, the paterfamilias of one clan, comes to New France in the 17th century as indentured labor and his offspring intermingle with Native Americans and toil in the dangerous tasks of felling timber and shipping it downriver to Penobscot Bay. Meanwhile, the descendants of Charles Duquet (later changed to the less ethnic-sounding Duke) follow a different path, entitled by their God and Bible, they become land speculators, forever searching for virgin forests to chop down and turn into capital. They employ Native Americans to do the hard work. In many ways “Barksins” is the masterpiece Proulx was meant to write. Besides her family connection, there is also one more personally felt. “My earliest memory in life is sunlight patterns on the ground coming down through the leaves of a tree,” she says, sitting at a wooden table in her airy kitchen. Proulx was born Edna Ann Proulx in Norwich, a heavily wooded part of Connecticut, and grew up moving frequently for her father’s work. He was vice president of a textile company, and her mother was a painter. They vacationed in Baxter State Park in Maine. It’s beginning to get hard to remember a time before Proulx was a household name, but it didn’t happen overnight. After abandoning studies for a doctorate she lived in small towns across Vermont, making a living as a freelance writer. She wrote a series of how-to books on fence building and cider making and for two years published her own newspaper. She made her fiction debut in 1988 with “Heart Songs and Other Stories,” published the year she turned 53. She followed up swiftly with two novels, “Postcards” (1992) and “The Shipping News” (1993), the tale of a lonely newspaper in Newfoundland, which won the National Book Award and Pulitzer Prize. The theme of how Americans change and are changed by the landscape runs through her work. Besides “Barkskins’’ the three volumes of stories Proulx wrote about Wyoming, which included “Brokeback Mountain,” later made into an Oscar-nominated film, and “That Old Ace in the Hole,” her 2002 novel about factory farming in Texas, all revolve around how Americans occupy and move across the landscape. ‘What I do is really try to immerse myself in the period for the food, the clothing, the music, the language, the slang. So when it comes time to write I feel like I’ve been living there for a long time. From Proulx’s upstairs writing studio it’s clear how seriously she takes this obsession. 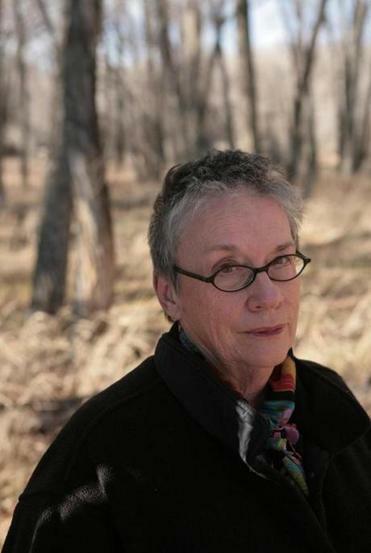 Proulx sold thousands of books, which once filled her Wyoming home. All that remains are some novels, a rack or two of poetry — including the work of Les Murray — and shelf after shelf of books about the North American landscape, like William Cronon’s 1983 classic, “Changes in the Land,” which describes the different notions of ownership Native Americans and colonists had about dominion. Of course the character that gets felled most frequently is the forest itself, which is demolished in New England and the Carolinas, then in Michigan, and onward west, before the Duke company branches out to Australia, New Zealand, and even Brazil. John Freeman is the author of “How to Read a Novelist’’ and editor of Freeman’s.